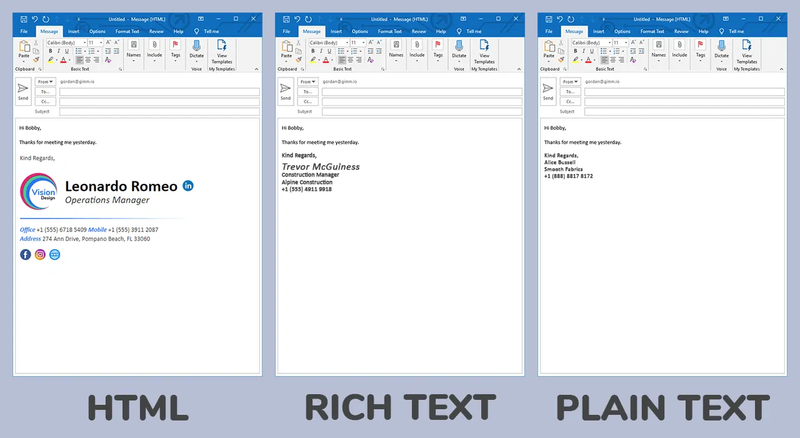 Today, we’ll explain the difference between HTML, Rich Text and Plain Text email formats and which one you should use. The best email format to use depends on your situation. If you need advanced functionality with flexible styling options or you want to use a fancy email signature, use the HTML format. If you’re only looking for adjustable text options, such as italics or bolding, use the Rich Text format. When you just want text and no other options, you can use the Plain Text format. However, there are a few more things you should know about the 3 different email formats and when to use them. This is the most popular email format, especially when using professional email signatures. HTML stands for Hypertext Markup Language and is the coding language used by all websites around the world (including this one). Whenever you go to any website, it’s coded in HTML. However, HTML also has a very important use in emails. 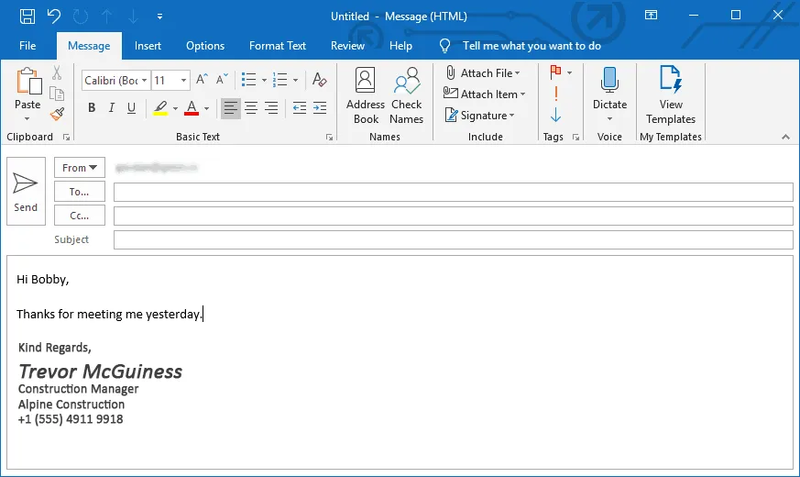 When you create a new email using any of the most popular email clients such as Outlook, Apple Mail or Gmail, by default they will compose the email message using the HTML format. An important thing to remember is that not all email clients render HTML in the same way. For example, Outlook uses the Word Rendering Engine, Apple Mail uses the Webkit rendering engine, and Mailbird uses the Chromium rendering engine. This means when you send an email in HTML format from one of these to another, the email might look slightly different. All these features make the HTML email format the most desirable when sending out email newsletters, promotional emails or when you use a HTML email signature that requires images and lots of design flexibility. This is another popular email messaging format, and rightfully so. It’s used in many situations where the HTML format is not needed, but you still want some text adjustability. Using this format, you can create email signatures that have some text styling options and also images. It’s important to note that Rich Text format doesn’t allow HTML attributes. Some email clients, such as Apple Mail refer to a HTML email format as Rich Text. So, if you’re looking for the HTML option in your Apple Mail preferences, it will send emails as HTML format when you select Rich Text format. The use of Rich Text Format (or RTF) is still quite widespread in the world of emails. It creates a perfect balance between HTML and Plain Text emails. Plain text format allows only the use of, well…plain text. It doesn’t allow any formatting options such as bolding, italics or any font size adjustments, and definitely no images. This makes it a bad choice if you’re looking to create a great looking email signature. This is the best email format for sending emails that are frequent and don’t require any styling options. Plain text email format is supported by all email clients, making it a safe choice when sending alerts or notification style emails. Which email format is best for email signatures? HTML is the best format to use for email signatures as it gives you the flexibility and power to create an amazing email signature that your recipients will love. Using a Plain Text email signature will mean you’re limited in what you can do and the signature will never look as good as a HTML signature. 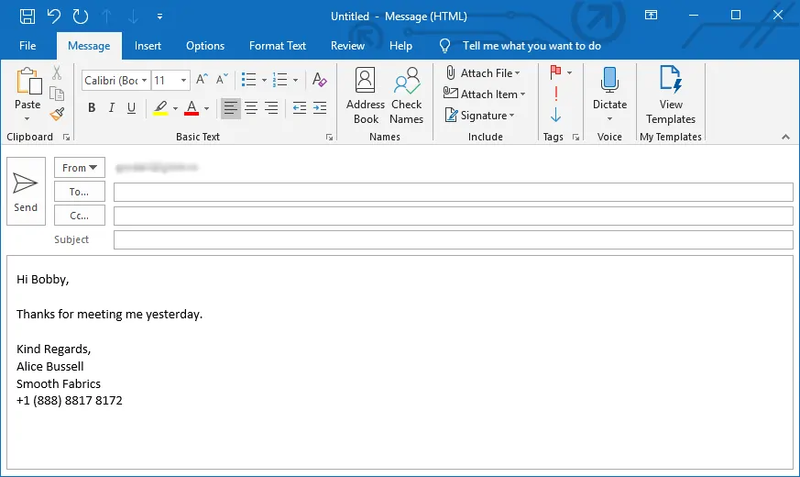 Since all modern email clients support the HTML format, it’s always best to use that format when composing emails since you can get the most out of it, without any drawbacks. How do email formats get converted? Most email clients will downgrade email formats automatically if needed. Meaning, if you receive a HTML email, it can be converted to Rich Text or Plain Text automatically, but not the other way around. Although you can convert a Rich Text or Plain Text email to HTML format, you need to do it manually for each message. Since HTML is the best format to use, check that your email client is set to compose and reply to emails in HTML format. 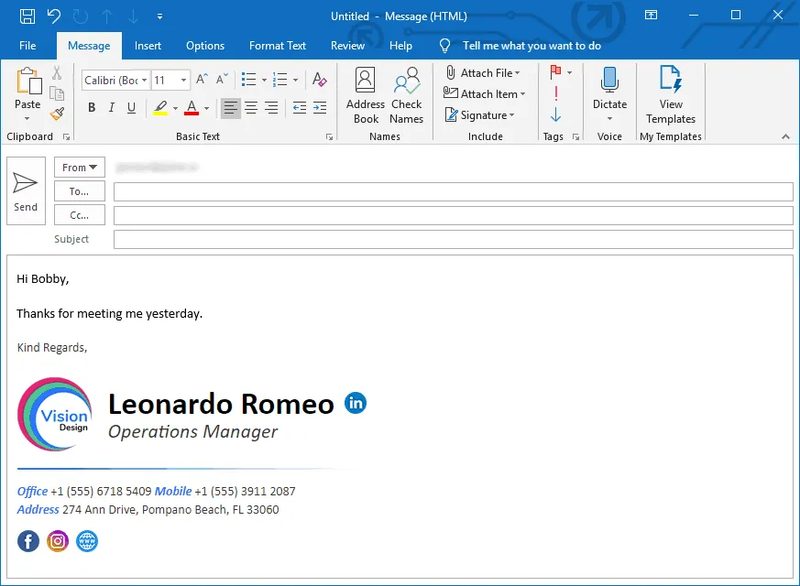 If not, any emails you create or reply to will be converted to plain text and that breaks email signatures as well as other formatting in the email. Previous Post« Previous Should you include an email address in your email signature?